I was pleasantly surprised when reading the Jamaica Gleaner online today to discover the first entry in what is promised to be a new series called “Cooking Japanese in Jamaica”. It will be written by Japanese national Ai Irisawa-Coney and will teach readers how to make some simple but delicious Japanese dishes the Jamaican way. I enjoyed reading the first article which was more than just a few lines of text and a recipe, she went into details on why she decided to start this series as well as the health benefits related to tofu vs meat without sounding like a crazy vegetarian. I thought I’d share it with my readers in Jamaica and worldwide. Take a look! 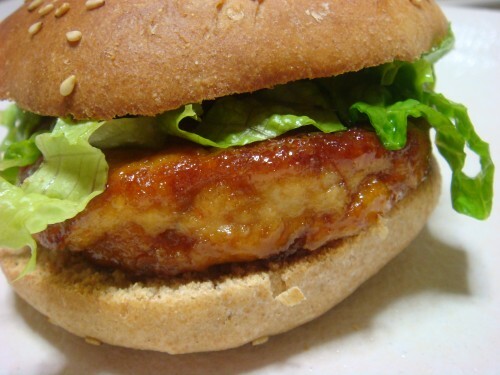 I don’t think the Tofu Burger recipe is for me but I am looking forward to other recipes that I will definitely try! In my eyes, Jamaica has changed so much since my first visit in 2004. Back then, there was no East Japanese, no Tamarind, no Rafael’s. And I thought it was one of the most boring and disappointing experiences to shop in supermarkets even in the heart of Kingston. These days, most supermarkets and grocery stores stock basic Japanese ingredients like California rice, soy sauce, miso paste, udon noodle, nori (seaweed), sesame seeds, konbu (dried seaweed), katsuo (dried bonito flakes), enough for me to cook authentic and fusion Japanese food in our kitchen. California rice? Â wow. Â I think you spelt meet wrong. Â Its MEAT! Â Tofu varies from place to place. You can never really tell what you gonna get unless you keep buying it from the same place. jerk tonkatsu? jk! this is interesting. I enjoy when cultures merge, especially when it comes with the cuisine! will you be trying any Jamaipanese cuisine anytime soon? Now that is an interesting idea. I’m always looking for Japanese recipes (that are relatively quick and the ingredients are easily obtained). Luckily where I live in the States, there are stores that offer the ingredients.